The Archangel Michael, Our Protector: Jude 9, Revelation 12: 7-9. 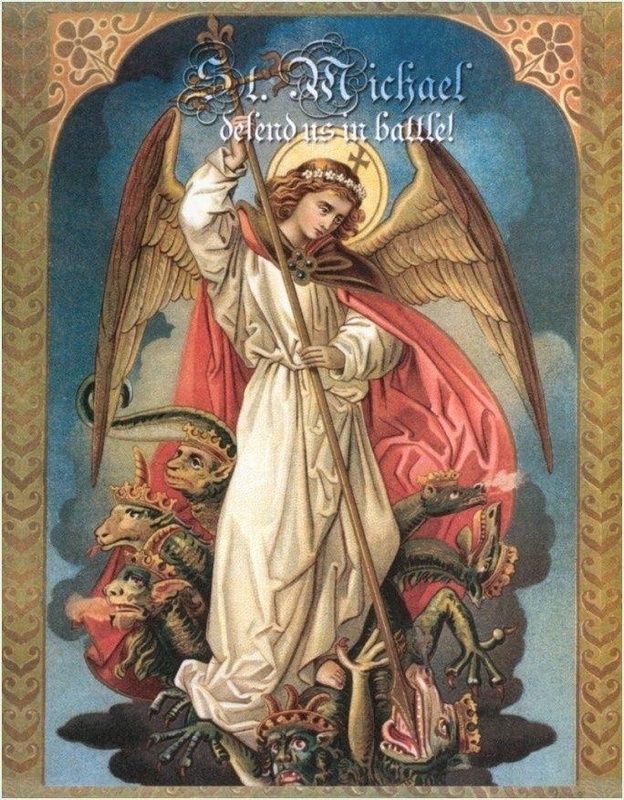 7 Now war arose in heaven, Michael and his angels fighting against the dragon. And the dragon and his angels fought back, 8 but he was defeated, and there was no longer any place for them in heaven. 9 And the great dragon was thrown down, that ancient serpent, who is called the devil and Satan, the deceiver of the whole world—he was thrown down to the earth, and his angels were thrown down with him. 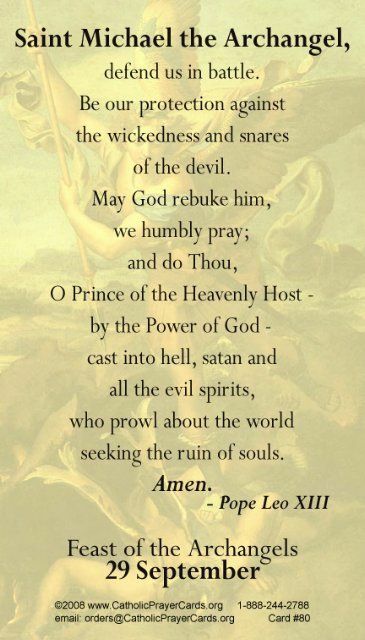 Dear St. Michael, the Archangel, protect us, both body and soul from the Evil One, his followers and anyone who would approach us with malicious intent. Protect us, our bodies, and our cars, as we travel about in our daily activities. Protect us, our bodies, our home, our property and possessions from all demonic retaliation. Father, if there are unholy Angels in, on, near or around us. We nail and hold them fast and silence them. We decommission, bind and encapsulate them through the Power of the Shed Blood of Your Son, Jesus Christ. We bring them up to your presence immediately Lord to deal with as you see fit. May you fill any empty spaces and lonely places within us with your love and your light. Thank you Father.